Unlimited free browsing cheat for 2017 April, we'll be reviewing all avalible free browsing tweak for April 2017, so you can know which one to select from that will be good for you and your location. We are going to give you the available cheat on all network starting from Etisalat, Glo, Mtn and Airtel. This cheats works with the help of tunneling VPNs such as Stark VPN and TweakWare VPN. Without wasting much time let dive into the new steps on how to browse free on all network. Etisalat free browsing cheat is still available, although the data is capped at 60MB daily that's to say once it 60mb your free browsing on etisalat will be terminated you will have to wait till the next day before you can be able to browse free. 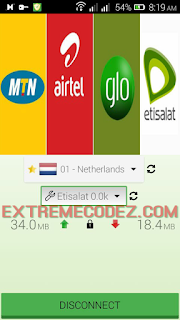 It very easy to step up Etisalat free browsing cheat here is how to configure this cheat. How to activate the ETISALAT free browsing cheat via STARKVPN. Go to Google PlayStore and download StarkVpn. Launch the application, then click on select location then choose any location/server you like. Click on the red Power on icon to connect. At first it may delay or show server full, just keep on reconnecting until it will finally connect. 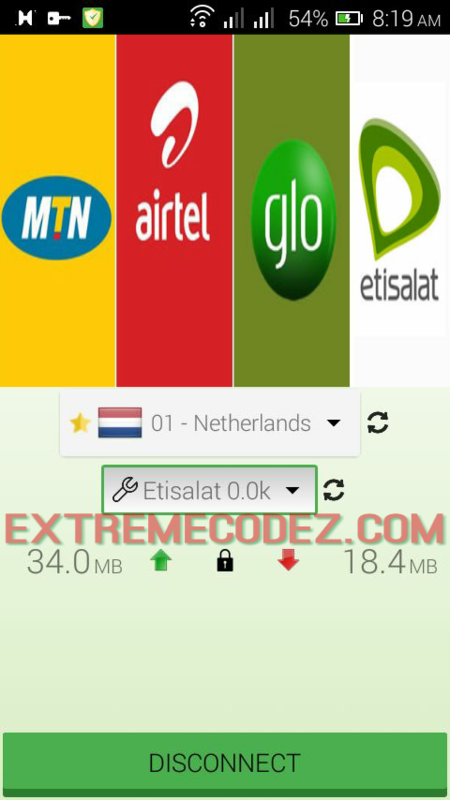 How to activate the ETISALAT free browsing cheat via TWEAKWARE VPN. Go to Google PlayStore and download TweakWare VPN. Launch the application, then click on select location then choose any free/server you like. Click on the connect. At first it may delay or show maximum of user reached, just keep on reconnecting until it will finally connect. It very easy to step up Glo free browsing cheat here is how to configure this cheat. How to activate the GLO free browsing cheat via TWEAKWARE VPN. Make sure you data connection is set to GLO SIM card. And make sure you don't have any active credit in your SIM it should be 0.0kb and zero data. Note: Glo free browsing is not capped it's totally unlimited. It's sad that there's no free browsing cheat avalible on the airtel network at this moment. But don't be upset anyway as there are free browsing from other networks you can also use the above ones for now as we look for a way out.